When I was younger, I had this thing for restoring furniture. I used to spend hours bent over very old and very average pieces scraping away at old varnish, sanding until my hands were raw, and then refinishing with an oil or a wax or or a stain, until it looked brand new and beautiful. There was something that I loved about taking something that was unremarkable and dull and harnessing power tools and making a mess everywhere and getting dust all in my hair and making it beautiful. The very first thing that came to mind on day one of my single days, was that I wanted to restore furniture again. So i’ve been a busy girl. The first thing i’m going to share with you sounds nuts. 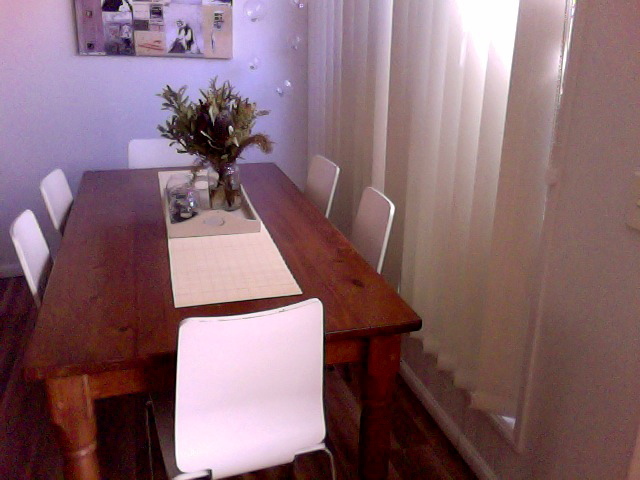 While my dining table was okay enough, I felt it was just okay and I hate the chairs. So i’ve been sizing it up for weeks, wanting to do something with it, but not your run-of-the-mill sand and revarnish. I’ve been waiting for it to speak to me… show me what it wanted to be when it grew up. But for the longest time I had nothing. What if I glued Aluminum foil all over it? So thats just what I did. I mixed up 2 liters of wall paper paste. (I tried using craft glue to begin with, which was expensive, messy, got all over my face, made me say the eff word, plus made for a marathon of elbow grease when I had to scrape it off) I cut the foil up into squares and simply pasted the table and laid the foil over it. No preparation with the dining table necessary. When I got a little gung-ho with the glue, the foil began bubbling and it wouldn’t dry, so I had to scrape it all off and start again. Reason number 120 not to use craft glue: If you have to scrape it off, you’re in for a workout. This was a major pain, and I actually had to do it twice. Had I not had a dining table covered in glue and tin foil specks I would have given up. I swear on the second try I actually swallowed tin. So the third time, I actually took my time with it. I put on the music channel, poured a glass of wine, and slowly slowly, carefully laid the foil on the table and smoothed it with a scraper. When I had smoothed it down, I would create very subtle creases in the foil by moving my hands over it and crinkling it up. This gave it more character. The legs were easier because I was more rough on purpose and wasn’t concerned with it looking perfect. I wanted the legs to look more beat-up. When the glue had dried, I spread black acrylic pain all over the table and as it was drying, smoothed it off so that only a residue was left, making the finish look older. The black would stick more to those creases I had made and gave it texture. With the finish just how I wanted it, I then gave it two coats of varnish. Because I couldn’t be bothered shifting the table out into the garage to varnish, I did it inside. Inside my very small living area. With not many windows open. Best not to do this ever again I would say. It was a bit fumey and I started to see Leprechauns crawling in and out of the walls. You can use this same technique to refinish nearly anything. And once you have the technique down pat, it really takes no time at all. You could use this technique with bedside tables, old picture/mirror frames or transforming old jars into vases. Not only is it easy, its extremely cheap. To re-do the entire table cost me $22, several glasses of wine and a few hours. I have been scavenging for new dining chairs to complement the table, and then I will burn those old rickety chairs and laugh at the flames. Goooosh I hate them. I have a few more tricks up my sleeve that i’ve been dying to share with you all, but that post will have to wait for a few days, as I haven’t quite finished my current project, but I promise its a very, very cool thing. This looks great! I’ve got a small table I’ve been wondering what to do with. I was thinking of painting it in some imaginative way, but I’m going to consider tinfoil. Neat idea! Wow, it looks great! I hate my dining room table too. Maybe I don’t have to live with it as is. After reading through your site I hope that you find and get to experience exactly what you’re looking for. The concept of making your single time count and really getting to know yourself before you get mixed up in someone else is under appreciated but so essential to being truly happy. 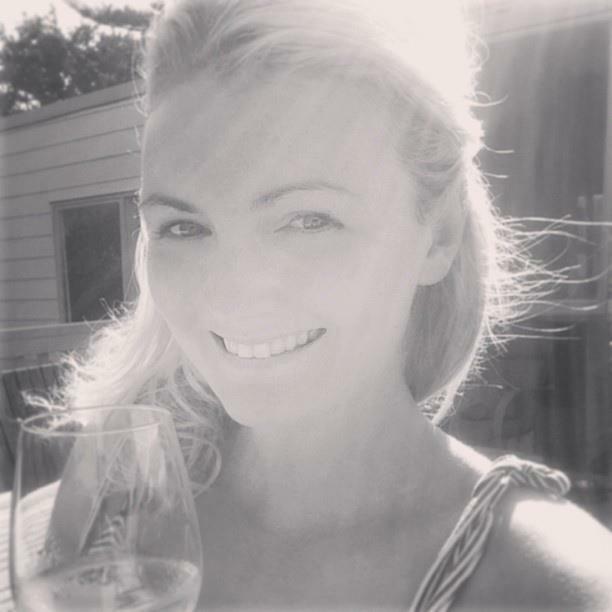 Enjoy your you time and make the most of it. It will mold who you are and what your life can become. Looks pretty awesome. I’m re-doing the little desk area in my apartment & will be shopping for some sort of second-hand storage for under. I was planning on painting it, but maybe this would be more fun! Great idea, although I can’t imagine doing an entire dining table, but maybe a small side table, or frame. This is absolutely amazing!! I never even imagined tinfoil could look that cool. I don’t quite have the balls to try a whole table, but I bet this would make an amazing little knick-knack shelf! Thanks for the idea, I love it! Definitely go for the nick-knack shelf! A whole table can be a bit alternative, especially a large 6 seater like mine. I never have a visitor that doesn’t comment on my table though, its definitely different. If you get around to doing the shelf, make sure you forward me a picture! This is so cool.. I want to try this with all my furniture now! And it’s like you now have a new tinfoil table! Just as I thought of covering up that junk malm ikea bedframe that I have. But I think I’ll start with a broken piece of frame that I have first. That looks fantastic. It’s very much like a piece I saw at the Nelson-Atkins Museum of Art’s World’s Fairs exhibit. Pretty sure that table was more than $22. that is too cool. Love! LOVE THIS! The table looks amazing! What a fantastic idea!! This is amazing! I’ve never seen anyone do this- it looks great! Wow.. Amazing.. 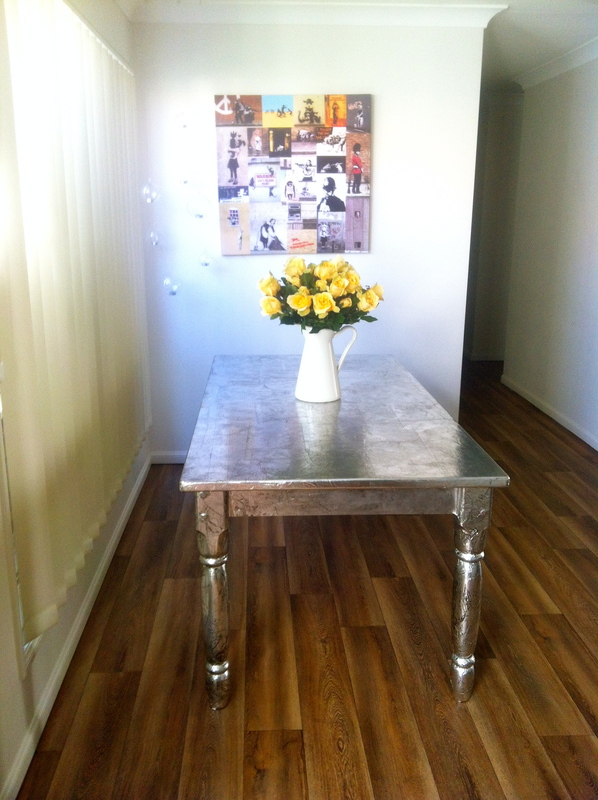 I have a coffee table that I think would look awesome done this way… right.. first project when I get home to Australia!! Do it! It was so easy. I am actually about to get up and do a coffee table myself! Would it be the same effect if you just spray-painted it with silver? 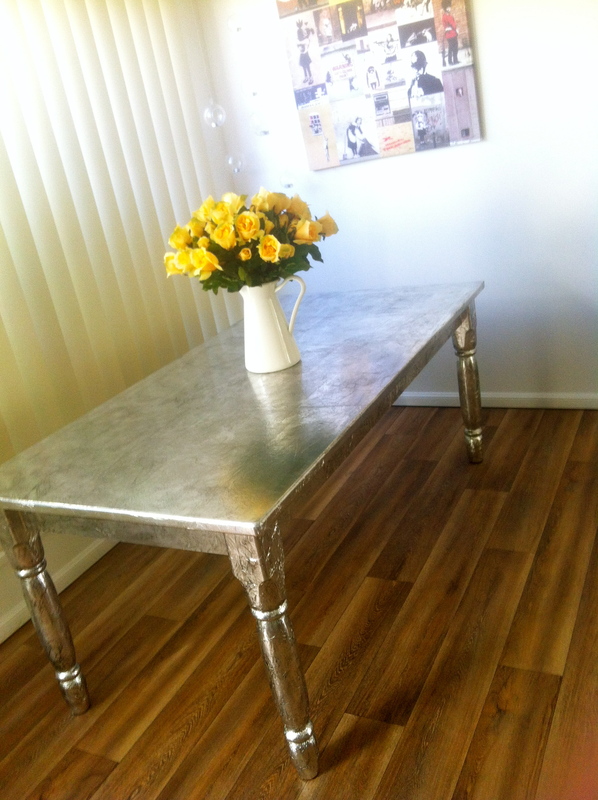 If you asked me a silver table would not be my first choice. Having seen the finished article I am impressed. Your method is filed away in my DIY archive for potential future use. You should be really pleased. Well done. Nice work and very impressive ! Oh wow…. I love it…..
Wow that’s incredible! I like the idea of mirror frames in it! I think this is completely fabulous !! up that way, go to bed that way-just knowing that the God of the Universe is now your FATHER and your life is secure in Him, takes the weight off. That is absolutely amazing! Now I’m looking around my house trying to work out what I can cover in tinfoil! 🙂 Once you realise just how easy and cheap this is there will be no safe or sacred surface in your home! Did you do something about the chairs as well (they weren’t so beautiful…)? 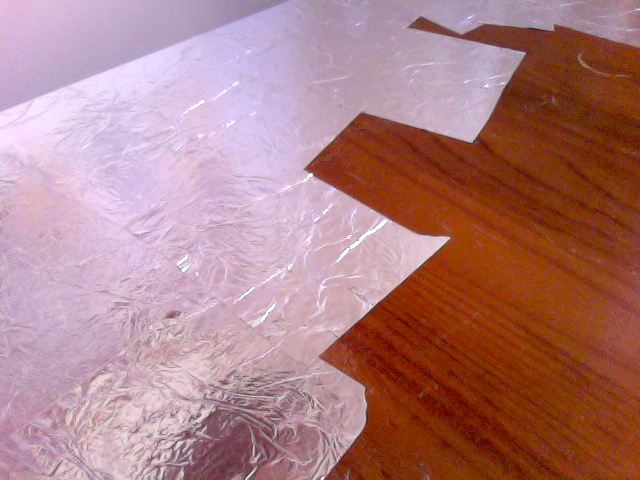 What adhesive did you use to apply the tinfoil to your table? and since it has been some time since you completed this project how has it held-up to daily use? In other words, is there any of the process that you would change at this point? I’m curious as to the chairs you decided on. Any pictures of the chairs? Well I am definitely going to try tinfoil over a piece of furniture. Wallpaper paste makes it sound so much easier than I had imagine. Thank you for the update. Hello There, Well, he chose to marry her without a pre-nup, and I’m sure he now wishes he would have listened to those that told him that that was LUDICROUS !! (MJ) He also chose to cheat, on several occasions, I’m sure, and now he has to pay for being Young, Wild, and Free, AND to keep her the sae#.m8230;.&LoL !! 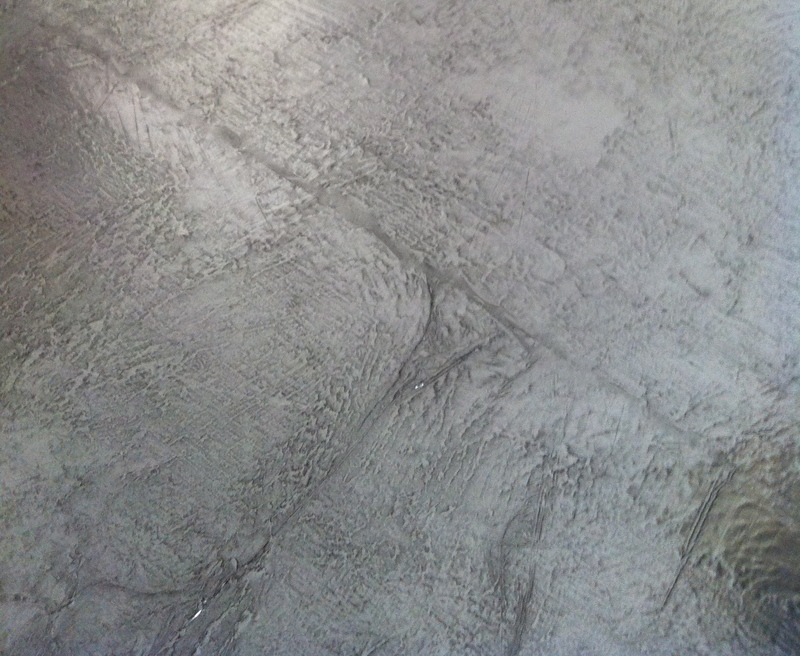 Looks like a dining table from the King’s Palace … silvery … neat! Ah! Yes it does! I never really looked at it that way before. Sadly I had to sell it prior to my move inter-state but am hoping to tin foil up another piece of furniture soon! Oh thank you so much!!! 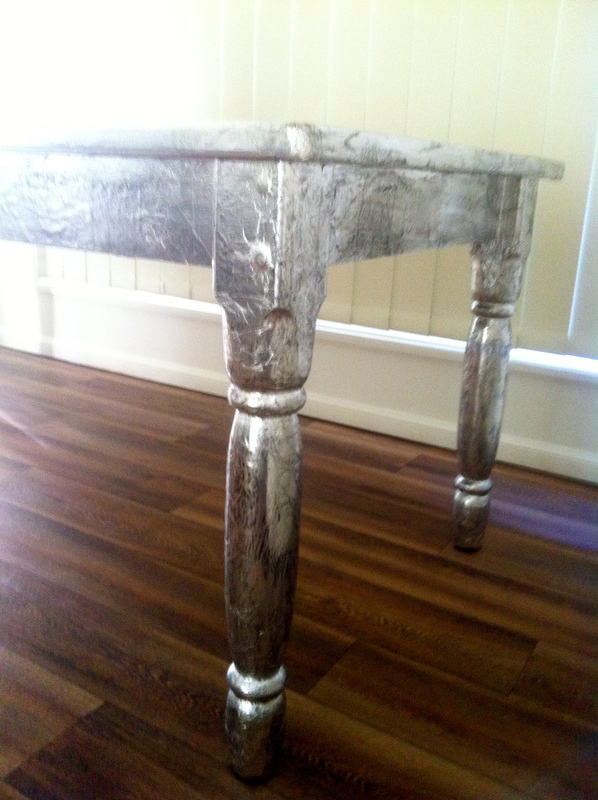 Isn’t it incredible how the humble tin foil can transform a piece of furniture! Thanks so much for sharing this tutorial! Love this idea. I’m myself going to tackle a big chest I have that’s a little battered as was a toy box for a long while.hoping it looks as good.just out of interest how much did you sell your table for ? 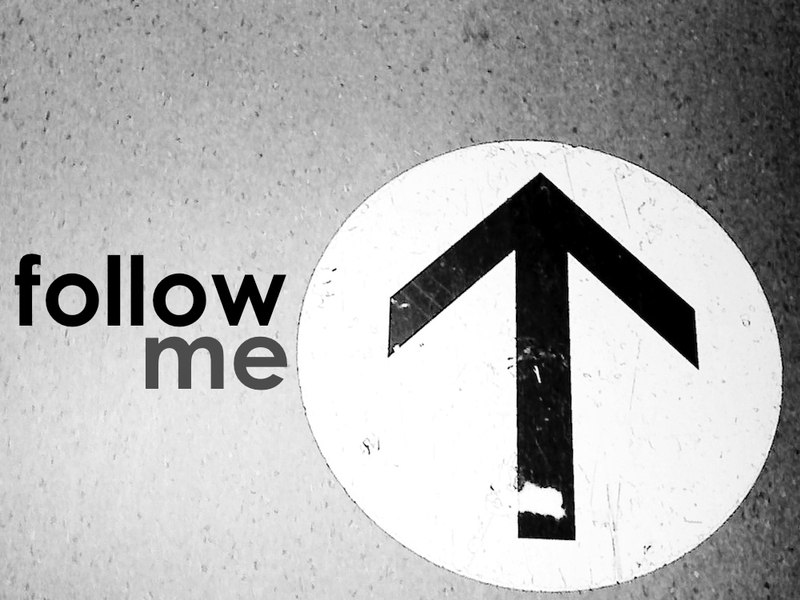 Thank you for following me. I love this table and what it represents in you – the fresh start and having things how you want them.